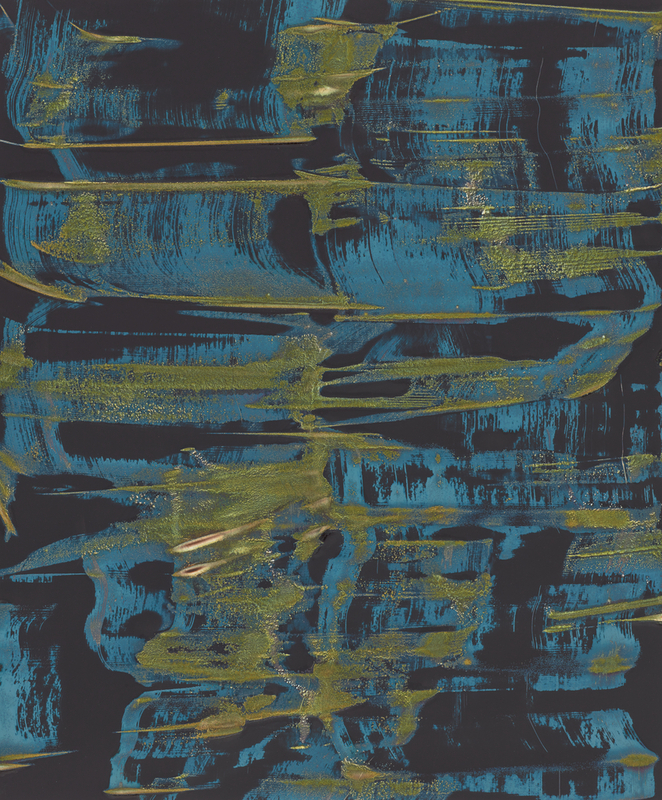 Black paper with abstract swathes of color in blue and green. Heckert, Virginia. Light, Paper, Process: Reinventing Photography, exh. cat. (Los Angeles: J. Paul Getty Museum, 2015), p. 59, pl. 25.